Kai-Uwe Denker is also the publisher of the Erongo Verzeichnis for African game animals, which aims at preserving pristine wilderness areas and hunting game animals in their natural habitat. Trophies of old animals receive a multiplier of 1.1 to their total scoring. Too young trophies are disqualified. For more information, please visit the website at www.erongo-verzeichnis.com. Here we would like to present a few articles that have been written by hunting guests of ours or otherwise by ourselves; mainly for NAPHA’s hunting Magazine “HUNTiNAMIBIA”. Follow the links below and enjoy! The king of the dry bushveld and the rugged mountains - Camouflage is the essence of its nature. It is widely accepted that Kudu get diseases like the rabies epidemic due to an overpopulation, where nature subsequently tries to regulate numbers by means of diseases. 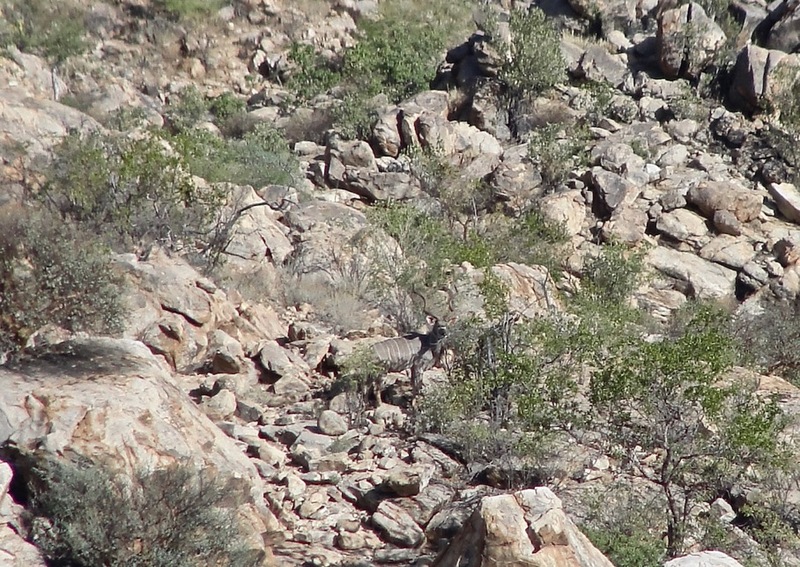 We did an unofficial study on population dynamics of Kudu in the south-western Erongo Mountains.